Like several of its peers, Samsung didn’t talk much about its mobile or tablet range during its CES 2013 press conference, however it did announce the impending arrival of a 4G LTE version of its Galaxy Note 10.1 Android tablet with Verizon. Many of you may remember an LTE version of Samsung’s S-Pen equipped tablet being announced last year, however at the time the only country to get the new model was Korea. We speculated at the time it couldn’t be long until an enterprising U.S. network picked up the tablet and sure enough, it’s Verizon who has got there first. 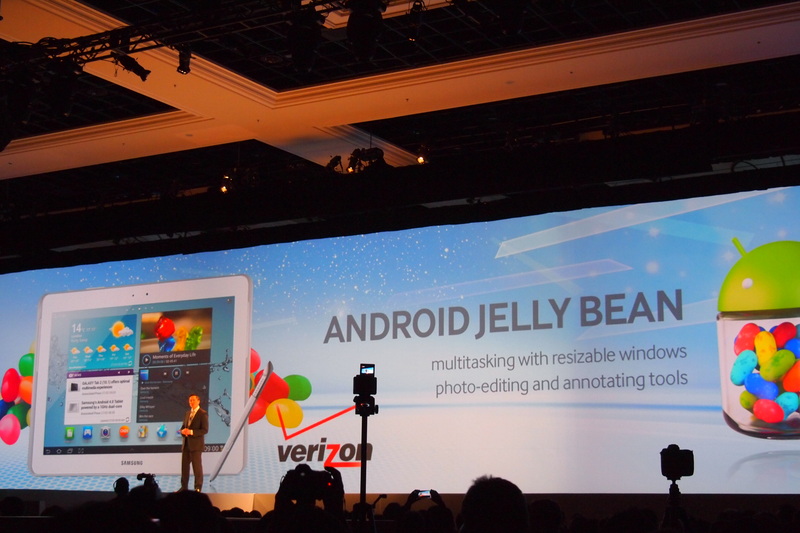 It’s going to ship with Android 4.1 Jelly Bean already installed, however the rest of the specification appears to be the same as the existing Wi-Fi model. This means you’ll get a 10.1-inch screen with a 1280 x 800 pixel resolution, 2GB of RAM and a 5-megapixel camera on the rear, which is also capable of shooting 1080p video. Inside is a 1.4GHz quad-core Exynos processor, and we’d expect Verizon to offer all three internal memory options of 16GB, 32GB or 64GB. The Galaxy Note 10.1 4G LTE may arrive later this month, however at the time of writing, Verizon hasn’t shared the exact release date or any details on how much the tablet will cost. We’ll update you as soon as we know.